Being able to recognize the signs and symptoms of heart disease, heart attack and stroke can save your life. While chest pain is automatically associated with heart disease, there are other signs and symptoms that are less common, but no less serious. Sometimes one warning sign of heart disease can be back pain. Chest pain or tightness is the most common symptom for a heart attack in both women and men. However, woman are more likely then men to have back pain in addition to, or in place of chest pain. Studies published in the British Medical Journal have found an association between back pain and heart disease. Back pain may be the result of atherosclerosis in arteries in the lower back. See the link below. Pain in the middle of the back could be from an aortic aneurysm. 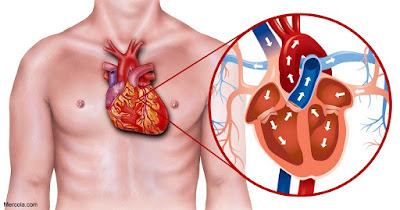 In this situation the aneurysm occurs in the part of the aorta that passes through the chest. You may experience pain in the back if you have inflammation or infection in the wall or lining of the heart muscle. This includes conditions such as pericarditis or endocarditis. Whenever there is any kind of injury to the body, your body relays this to your brain through the use of pain receptors that are located as closely to the area as possible. When your heart muscle is injured pain receptors in the back may be activated to respond.